"Please wait to be seated." It's not my favourite sign, given that it usually fronts the kind of place where you take-a-number and order-and-pay-here. Not a come-hither dining room that's part western saloon, part Italian wine bar, and part Restaurant Hubert, but without the stairs, cabaret stage, Frenchyness or miniature booze bottles. Personally, I feel the sign at Alberto's Lounge should read "Permission to misbehave". It's something the Swillhouse Group has always been good at granting (in a Responsible Service of Alcohol way), everywhere from Shady Pines Saloon to Frankie's Pizza to the rollicking Hubert. With former partner Jason Scott opening Peppi's Cellar in New York, the rest of the gang – brothers Anton and Stefan Forte, Toby Hilton and chef, Dan Pepperell – have gone all Italian, with extra brio. The old Berta site is unrecognisable, cosily clad in timber, shelved with wine, boothed, banqueted, tiled and detailed with vintage Italian movie posters and dark bentwood bistro chairs. Power-packed graphics from artist Allie Webb run across menu, double-sized coasters and the entire wall of the rear laneway, with a striking monochrome mural that brings the outside inside. Chefs in the kitchen are seen only through a narrow strip opening through a glittering backdrop of booze; Pepperell easily identified by his inked arms. 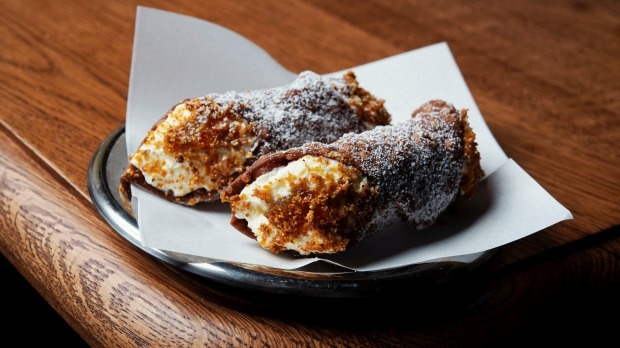 Going Italian is no great stretch for the chef who created a new breed of Syd-talian cooking while at Paddington's 10 William Street. Dishes are small, rich and punchy, stamped with that trademark Pepperell dive into Japanese umami. 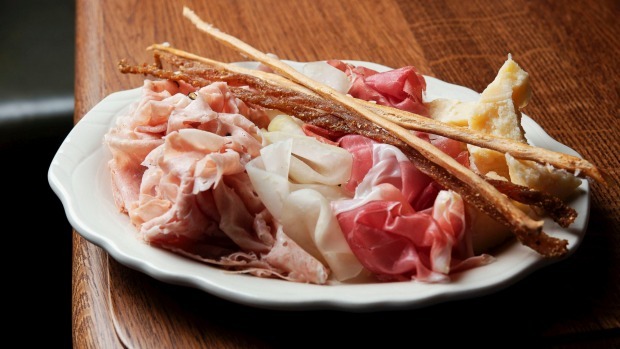 So affettati misti ($28) is a get-the-party-started selection of paper-thin slices of prosciutto di Parma, lacto-fermented kohlrabi, Mr Cannubi​ mortadella and craggy chunks of piave vecchio cheese, topped with exceptional house-made grissini and long, spindly coppiette, dehydrated strips of chewy, punitively spiced pork loin. Crudo di tonno ($24) sees a jumble of shimmering, diced raw tuna, the flavours heightened with an acerbic jelly of dashi, tuna and olive that's a challenge to love. 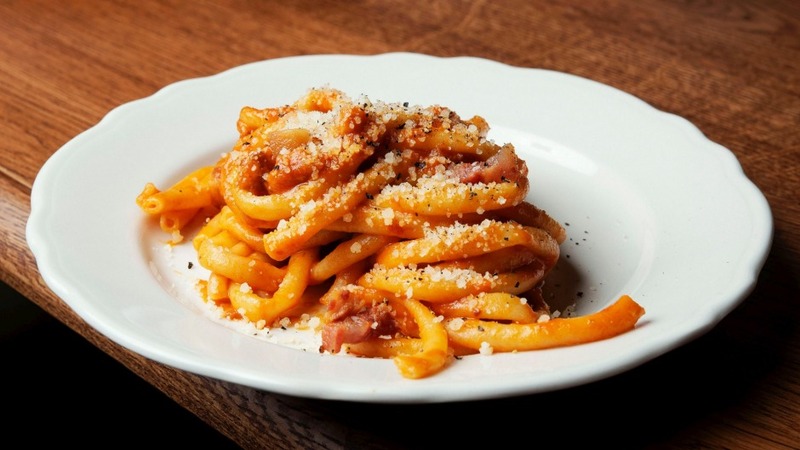 Pasta is done with care and depth; notably a Roman bucatini all'Amatriciana​ ($26), whose pneumatic inner tubes of al dente pasta are coated, not drowned, in a tomatoey sauce strewn with guanciale (pork jowl). Rome and surrounds are well explored. 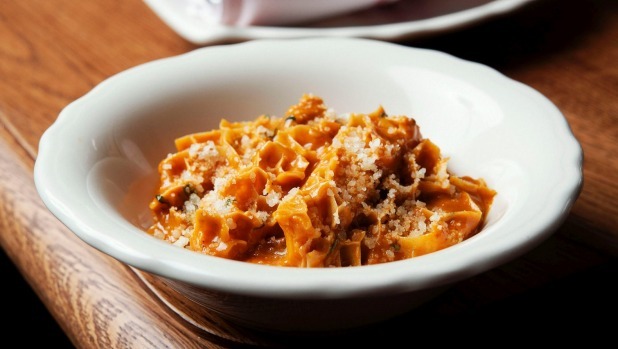 There's also a ripper trippa alla Romana ($22) of lush, sweetly spiced braised tripe with a savoury textural passenger of additional crisped, fried tripe reminiscent of the milky, mysteriously ancient taste of Roman pajata (intestines). With Andy Tyson on wine, there's plenty of left-field interest, like a plummy, juicy Mamete Prevostini Botonero nebbiolo ($88) that's just made for pasta. Plates are small, so you'll probably need to share a cotoletta ($36) or bistecca ($95) as well. "Swordfish and sardine" ($38) is, today, tuna, lightly grilled over the coals and plastered with a thick coating sauce of sardine, anchovy, currants and chives that makes the whole thing taste like one great big sardine. If you need a finale, consider the crisp cannoli ($8), filled to order with whipped buttermilk ricotta and orange and pistachio praline. 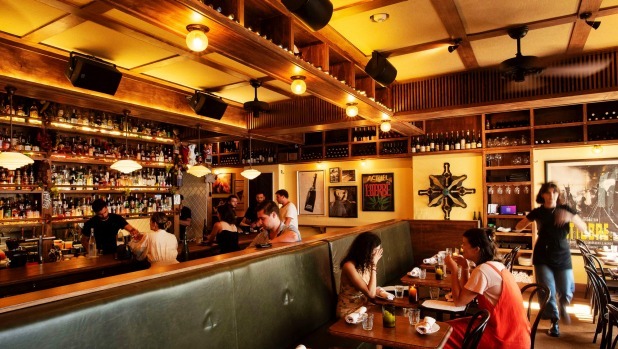 Everything has character here – the food, the booze, the hustle, and the staff, headed by the immensely likeable Benjamin Brown from Sepia – with humour, nostalgia and personality on tap. All the signs of a good time, in other words. Vegetarian: Limited. A couple of snacks, a pasta, three or four vegetable or cheese dishes. Drinks: Classic cocktails and a pumping, mildly perverse wine list from sommelier Andy Tyson zeroing in on Italian and natural. Pro tip: Spiced-up house-made potato crisps make the perfect cocktail snack.